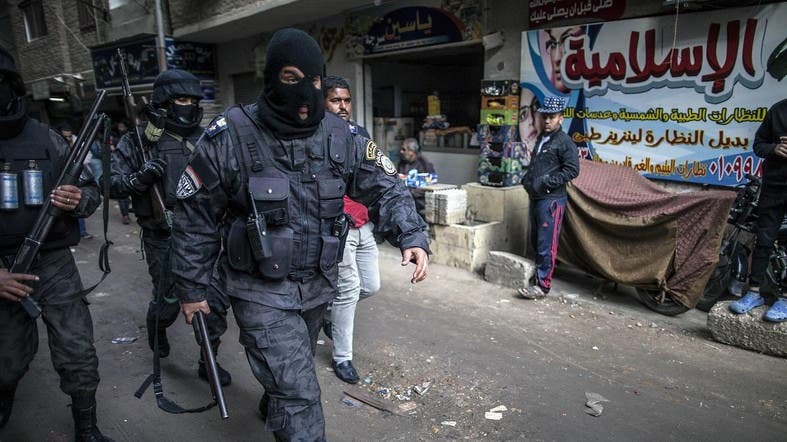 Egyptian security forces killed seven suspected militants in two operations in Giza, across the Nile from central Cairo, the interior ministry said on Thursday. Three of the militants had disguised themselves as electricity workers to plant explosives, but were killed in an exchange of fire after their truck was intercepted, a ministry statement said. One police officer was wounded. Four more were killed when security forces raided an apartment they were using. The suspects were not identified but the ministry said they were members of the Hasm group, which emerged in 2016 and has claimed several attacks on security forces. Egypt accuses the group of being a militant wing of the outlawed Muslim Brotherhood. The Brotherhood denies this. Authorities frequently announce deaths of suspects identified as extremist militants in clashes or raids, often in remote areas including the Sinai Peninsula, where the armed forces have been battling an insurgency.